This 3 day course has been designed to address a need that has been articulated for a training course with much greater ‘granularity’ of content and depth in considering the complex legal issues that are associated with limited recourse financings. This need goes beyond the basic features, and burrows into both the commercial and the legal interfaces in the various areas of a successful project structure – the designing of the SPV, the negotiation and documentation of the concession or the offtake (as applicable), the pre-completion development phase, the operations, and the financing structures that are available. The course looks carefully at the commercial issues – risk identification and risk management – as well as the way in which the documentation and the legal structures deal with these issues. It also pays regard to the implications of different approaches on both Sponsor IRR and debt serviceability. Understanding the perspectives of Government, Offtaker, Sponsor, Lender, Developer. Dealing with the complexity of cross-border contract enforcement. Pinpointing significant differences in structure across the various sectors – infrastructure, power, oil & gas, telecoms, property & leisure. Identifying the requirements of Lenders for risk management across those different sectors. Quantifying the effect on Sponsor IRR of various alternative risk management and financing structure approaches. Best practice in structuring the rights and obligations in the various contracts – turnkey EPC, financing, concession. 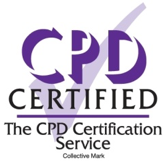 All delegates will EARN 18.9 CPD POINTS for attending this Course. Richard has a unique blend of experience in Law, Corporate Banking, Investment Banking, Corporate Financial Management, General Management and Workout. He has gained a worldwide reputation for the quality and depth of his project finance training courses which have been developed and presented over 20 years. He trained as a lawyer at Cambridge and the Middle Temple and was called to the English bar. 5 years with an American bank, the world’s largest financier of oil & gas projects, as a corporate relationship manager in New York and London. 6 years: investment banking in Hong Kong and London, primarily involved in mergers and acquisitions and corporate restructurings. 6 years: CFO of a public group with a joint head office in the United States and Australia. In this role he was engaged in some 34 acquisitions, over 20 equity raisings and a large number of complex financings, many of them structured on a limited recourse basis. 18 months: responsible for the workout of a company in severe financial difficulties, being appointed as General Manager by KPMG. For the past 20 years Richard has acted as an independent consultant and financial trainer. On the consulting side he has been primarily involved in project vetting; the financial modelling and structuring of power generation, LNG, mining, and petrochemical projects.